It should come as no surprise that as you use your electric chainsaw, the chain will eventually become stretched and loose. This is true of practically any tool, mechanical or not. The good news in this is that by following the steps in this article the chain of your electric chainsaw will be tight in less than a minute. To tighten the chain of your chainsaw, all you need is a socket wrench, or if you don’t have one, an adjustable wrench. Ideally, you will also need a tool that is a combination of a screwdriver and a wrench, and probably came from the manufacturer when you bought the saw. Chances are good that if you are well equipped enough to need a chainsaw, you already have all of the tools you need to fix your chainsaw. First and foremost, if you suspect that your chainsaw is in need of a tension adjustment, you’re probably right. On the other hand, you should also know when there is enough tension, and when you have achieved enough tension on the chain after you have achieved it. Regardless, you will learn that here as well. Before you do anything, however, make sure that your chainsaw is not only off, but also unplugged from any electrical source so you don’t need to worry about any trips to the emergency room. Every year, cutting tools cause countless people to seek aid in emergency rooms with serious, and sometimes life-threatening injuries. Make sure you are not one of them by turning off your chainsaw and unplugging it from its power source. When you check the tension on your chain, carefully look at the chain and pull it gently from the arm of the saw. It should be loose, but it should not be so loose that the links come off the bar nose. If when you pull the chain away from the chain bar, if you see them come disconnected from the bar nose and disengage, it’s too loose and needs to be tightened. On the other hand, if the chain only moves slightly and does not disengage, your chain is probably adequately tight and does not need to be tightened. 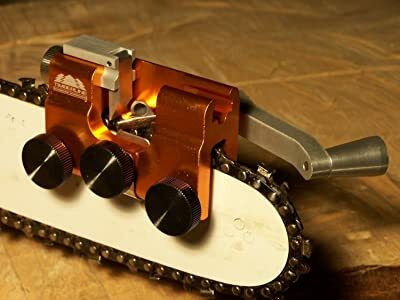 As has been stated before, tightening your chainsaw chain is easy and quick to do, but you must make sure that you complete each step carefully. If you miss a step or don’t perform it correctly, you could have a dangerous tool on your hands. 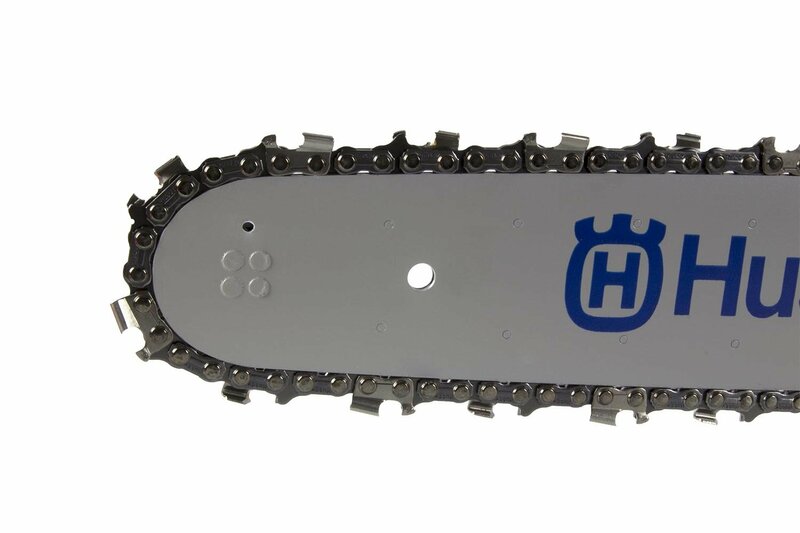 All chainsaws have three adjustments on their blade arm. Two are nuts. The other is a screw. Some have all three of these on one side of the blade. Others have the nuts on one side, the screw on the other. First, loosen the nuts on the side of the blade arm. This will provide the give you need to make the other adjustments. On some brands of chainsaws, there is a brake attached to one side of the blade arm. If this is the case with your chainsaw, you will need to unlock the brake before you can do anything. Next, you will want to get to the screw head to adjust the chain. This will be done on whatever side the screw is located. To tighten the chain, turn the screw head with your screwdriver enough to tighten the chain to a desirable tightness. Once that is done, lift the nose of the chainsaw arm until you can tighten the nuts on the side of the arm. This secures the side panel and the guide bar. Wasn’t that easy? It’s very simple once you have your knowledge in place. Congratulations! Your chainsaw chain is now secure and ready for use. It should go without saying, but bears repeating, that tools that are in good condition not only work better and for longer, but are safer than well. Keeping your tools in good operating order will require less time and money in repairs to things that should have been done on schedule.